Why I suddenly decided to throw Franzen away and focus my attention on Jennifer Egan instead I do not know. But what I do know, even whitout having finished the book yet, is that A Visit from the Goon Squad is a fantastic piece of literature, heartbreaking – actually! A Visit from the Goon Squad is labeled a novel, but could also be called a collection of short stories, a multiple memoir, or a cultural history … Since I’m not finish reading yet, I have no review to offer, I just had to share my excitement with someone – ! Previous Post The Time Is Now! Egan’s book is fourth on my current read list. It seems you and I also share a similar belief about Franzen. I tried reading it and then listening to it but you said it best: word upon word with no clear intent, at least for me. As for Egan’s Goon Squad, I have only heard good and now, from you as well. Look forward to reading what you think of it when finished. The Franzen case is strange, isn’t it! Maybe I will have a go at his new essays. I’ve read it and I hated every single character (species North Americanus Obnoxious), but the structure is glorious. The only reason I wanted to finish the book was its intricate cubist structure. The characters I found all one-dimensional and uninteresting, and all are after the same thing. I remember really liking Franzen’s Corrections when I first read them many moons ago. Didn’t get to Freedom yet, but the LRB review almost completely put me off the idea (http://www.lrb.co.uk/v32/n19/james-lever/so-long-lalitha). Maybe its because of the obnoxiousness I find it so thrilling? Obviously – the composition is fantastic, but there is also something very moving about the creatures she is writing about, it might be that all the Woolf reading I have been doing lately, is paying off – and I have come to sharpen my awareness of human complexity? I like very much how she ends her chapters, with a kind of frustrating openness, and I love how she sometime opens up time in just a sentence, foreshadowing a life in a few simple words. I found ‘Freedom’ very stodgy and laboured. I usually like epics of family life but this one just went on and on, revealing little. I’ve not heard of ‘A Visit from the Goon Squad’ but will put it on my list. I’m reading Tanizaki’s ‘The Makioka Sisters’ and can’t stop telling people just how much I love it. Set in late 1930s Japan and written in the late 1940s it’s an insight into the intimacies of Japanese family life of the time. Its light touch is so much more effective than Franzen’s labours. thank you for introducing ‘The Makioka Sisters’, never heard of it – will check it out! Yes, and I really loved it! Enjoy! I am reading The Corrections now and finding two things: one, I don’t like the characters but 2) something about the novel is addictively readable. Franzen writes some great sentences, well-observed. This is the second thumbs-up I’ve read for Makioka Sisters, so that will go on my reading list. 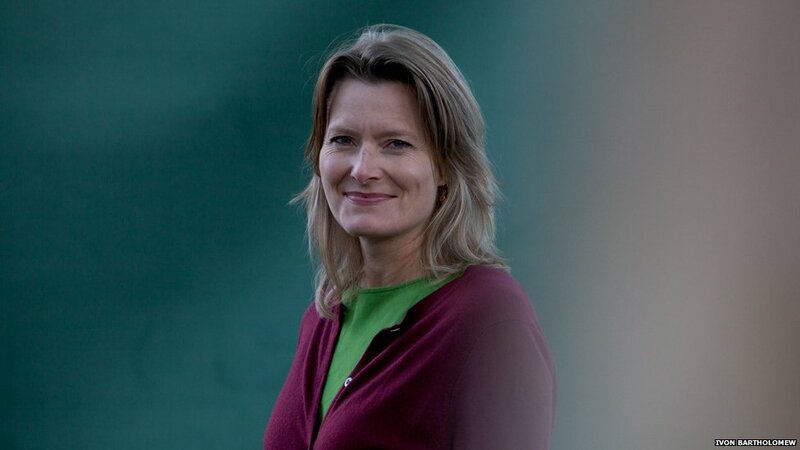 Jennifer Egan is incisive and readable…I heard her give the keynote speech at a conference a few years back–what an intelligent thinker she is! I haven’t yet gotten to Goon Squad. So many books, so little time…. In this way, Franzen reminds me of Michael Chabon. I find Chabon’s sentences and his humor appealing, but I always feel rather disappointed in the books as a whole. Interesting post for me to stumble upon, and I have just recently finished Good Squad and have Freedom waiting patiently on my shelf. Perhaps I need to give myself a pep-talk before I begin? I did love Egan’s book… found it heartbreaking, indeed! I’d love to hear your thoughts on Franzen, maybe it will work as well as Egan for you!